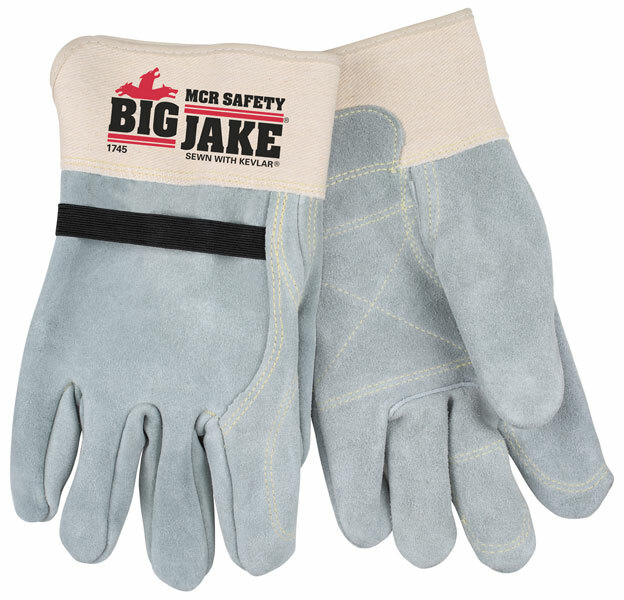 Big Jake® gloves, the ultimate in leather hand protection, are used in heavy duty and rugged environments and made tough for the toughest of jobs! Constructed of Heavy Select Premium A+ side split cow leather and sewn with Dupont™ Kevlar®, these bad boys will help you work through the roughest situations. The Big Jake® 1745 features inside double reinforced thumb crotch, palm, index finger and middle finger. The straight thumb and tough rubberized safety cuff round out the amazing features on the 1745. Go Big with Big Jake®!